Living in Israel, the only democratic state in the Middle East and the only Jewish democracy in the world, is a special feeling. Come learn about why, and be a part of it, by becoming a Virtual Citizen of Israel. This can be used as a classroom lesson, an activity run by a youth group leader or community educator, or by parents. There are several options for different time frames to suit the wide range of educational and situational needs. Age: For children aged 10+, resources questions should be adapted for what is age appropriate. Israel & Jewish values connection: Tikkun olam, taking responsibility for our actions, citizenship, being part of Am Yisrael (all Jews have a responsibility for one another). To learn that Jewish values are connected to democractic values. To learn about freedom and how that translates into our everyday lives. To learn about what it means to be a citizen in a democractic state e.g. we can all vote (give age appropriate examples). 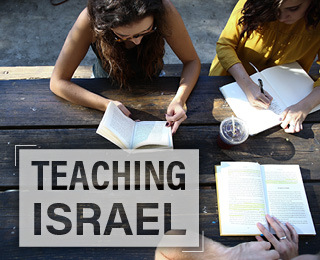 The steps can be separate sessions, for example, discussing what democracy is and having students research various aspects of how Israel is a democractic state, can be one session, and assigning one aspect of democracy and how that is connected to Israel and Jewish values can be another session. How many sessions depends on the time and flexibility that each educator has. Studentscan also discuss in pairs/groups so that the lesson is expanded to include dialogue and discussion. Ask children what they think freedom and democracy mean? Can they give personal examples? Discuss what it means to be a citizen (passport,vote). The educator can read out this text (if appropriate) and/or can give it out as a handout for older students. It is the natural right of the Jewish people to live like every other nation as a free people in its own sovereign state. A state to which every Jew is entitled to ascend and in which the ingathering of the exiles is among the most basic values. Here is a definition of what a democratic state is -"Recognition of the sovereignty of the people manifested in free and egalitarian elections; recognition of the nucleus of human rights, among them dignity and equality, the existence of separation of powers, the rule of law, and an independent judiciary system". Israel defines itself as a parliamentary democracy: a democratic system of government in which all the citizens choose their representatives for parliament according to their political affiliation, and then the political parties choose their leaders. What is special about Israel being a democracy? Mention it’s the only one in the region! How are democractic values connected with Jewish values? How does being a Jewish state impact democracy? Connect with recent election - all citizens (regardless of gender and religion) can and do vote. What does it mean to be a virtual citizen? Talk about connection, even though dont live in the country. Israel is the only democracy in the Middle East - why is this important? How do we see this? How are Jewish values connected with democratic values? Activity: What is a Democracy? Instruct children to form pairs and write down their ideas. If necessary, guide children with a prompt: “It means that I can………” and give them examples (go to school, vote, go to any supermarket I want, buy any book I want, etc. - make age appropriate). Have children create something (a painting, picture, cards etc) which shows how Judaism and democracy share values, and also give examples of democracy in Israel, the only Jewish state in the region. If appropriate (time/age) encourage discussion of what a democracy is not, and which countries are not democractic etc. and why (e.g. Saudi Arabia). 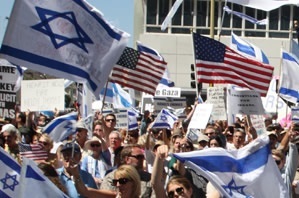 Connect democractic values to the Jewish values of Israel. Q - What does it mean to be free? Q - How is Israel a democratic state? 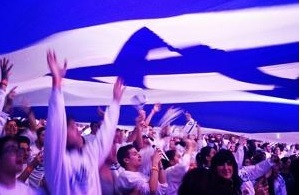 https://israelforever.org/interact/blog/israeli_mock_government_activity/ This activity, designed for older children (high school+) will help students better understand the way Israel's democracy and government functions. Break the group into at least 3 teams, allowing each team to select their angle of argument. What right do Diaspora Jews have to be heard by Israel and her lawmakers, or by the Israeli society as a whole? 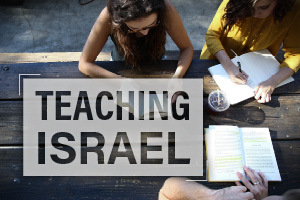 To what extent must those living outside of Israel examine and develop their opinions with regard to the practical dilemmas Israel faces that characterize life in a "Jewish and democratic state?" 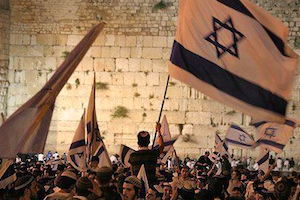 If Israel was not a liberal democracy, would its attractiveness to many Diaspora Jews erode? In this regard, is Israel held to a different standard than other countries in the world? Why or why not? Divide the students into groups/pairs. Each group/pair is given a quote card and a discussion question about the quote. Have you heard of the person being quoted? Do you agree/disagree with them? Why? Is democracy linked to Judaism and Jewish values? How? Did you like this activity? Please take a minute to give us your feedback. 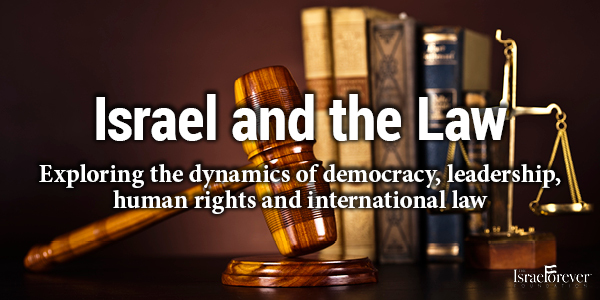 What do you know about Israel and the law?